We have been doing sailing camps at THE for 16 Years. Safety and fun are the most important for us, therefore we offer various activities, we promise good coaches and teachers, lots of attention and a happy spirit. The 2019 camp dates will be released in March. We accept applications afterwards. 8237, Tihany, Kenderföld u. 19. 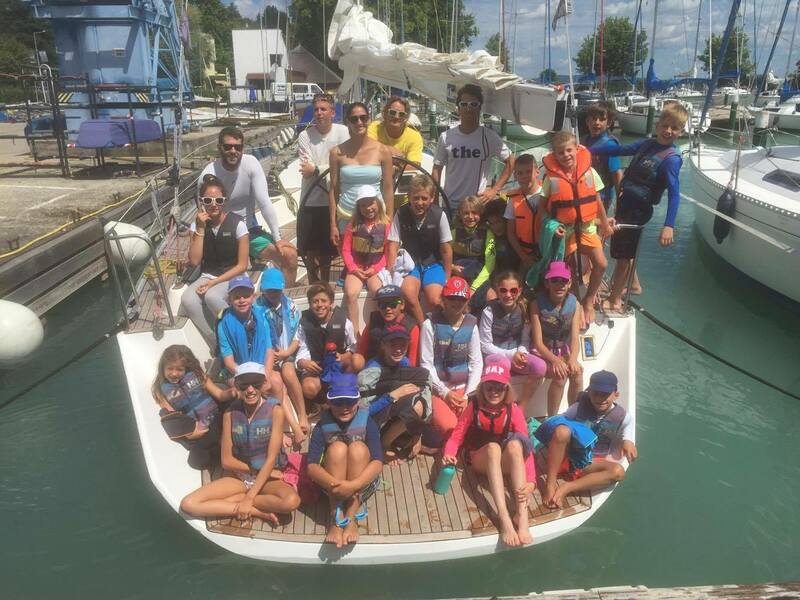 Our camps are designed for 28 children, with one sailing coach and two teachers taking care of them. 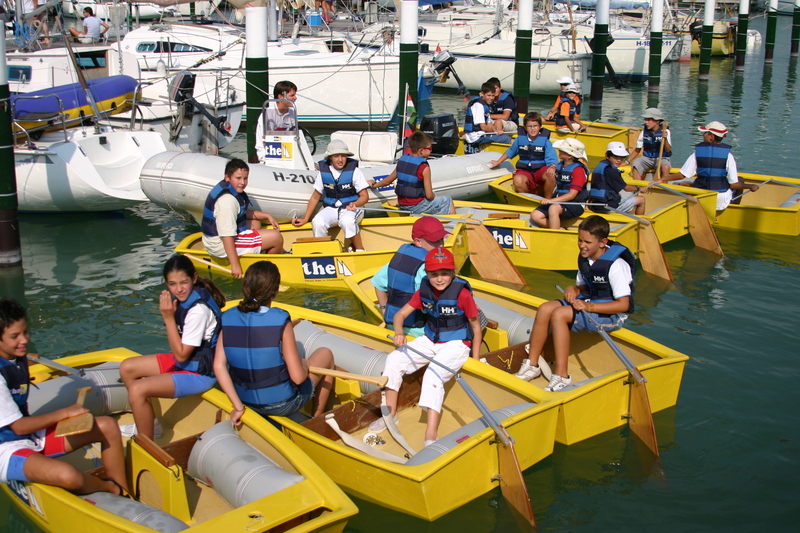 The kids can sail Optimist, Pille and Topper, depending on their size and age. The coach follows them in a plastic motorboat. All kids can sail up to 4-6 hours a day. Besides that, the teachers organize port side sport and fun activities. Housing is near the marina, in a nice clubhouse supplied with ping-pong table, basketball field and football field. The kids will stay in rooms for 6-8 people. In the clubhouse, they get three meals a day, and additional fruits and chocolate. Wearing a lifesaving vest in our camps is reqíuired, those we provide to the children. However, swimming well is a must when applying. Two sets of activewear, sports shoes (not crocs, not slip on, possibly closed and water resistant), raincoat, sunglasses, hat, suncream, bathing suit, beach towel, towel, backpack, water bottle. We provide the sheets. The children should arrive at 10 am on Sunday. Please be on time, so they can start preparing the boats. The parents can come around at 2 pm on the last day (Friday) to see their kids sailing. The camp ends at 5 pm approximately. 88.000 HUF, that includes housing and meals. Without housing 68.000 HUF. Discount for siblings 5.000 Ft / person. We accept applications from the 18th March 2019. We invite the best sailors in all camps to join us in the end of the summer for an “All-Star” camp, from where we might invite them to train among our racers. We offer the same camps in Agárd, with the same teachers, on a lower price. For more details, visit the site ykase.hu !! !